In total, the PX has six microphones. Four microphones used for noise cancellation and two regular microphones used for calls. 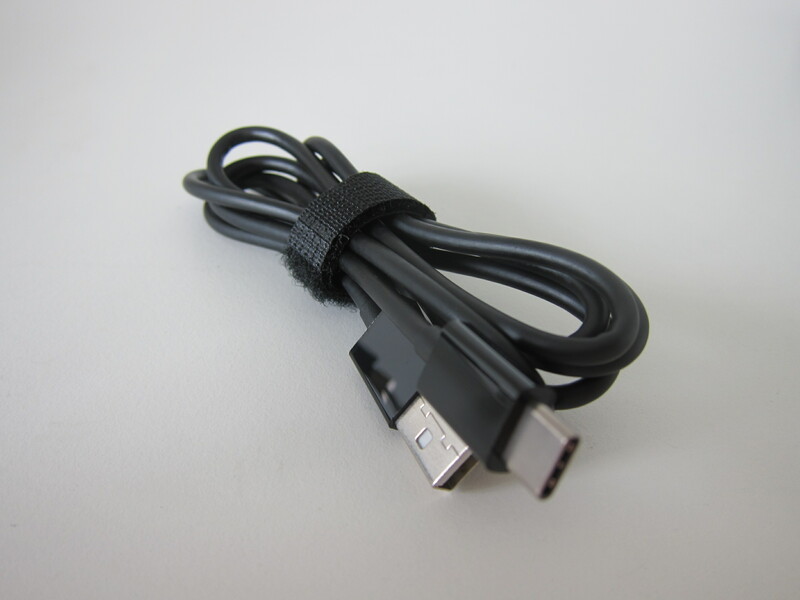 I am glad PX has moved with the times and uses USB-C for wired input and charging. 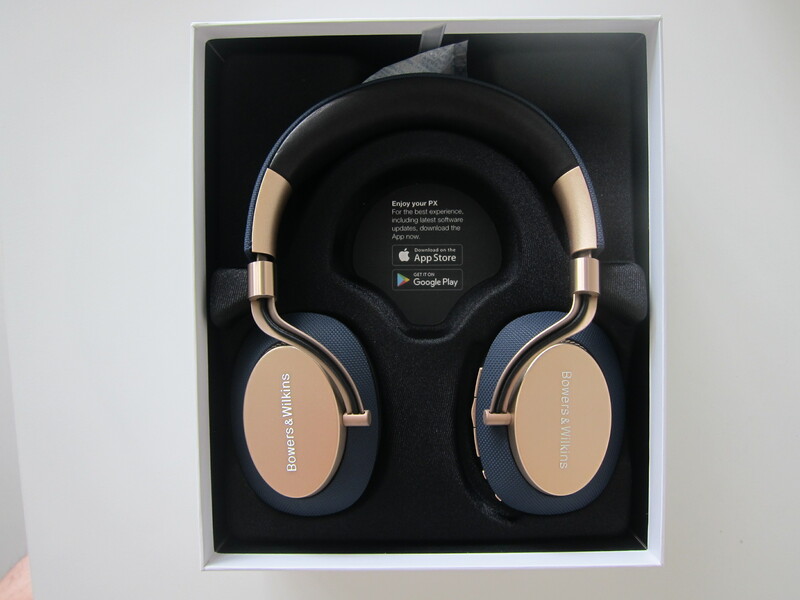 The PX is my first USB-C headphones. 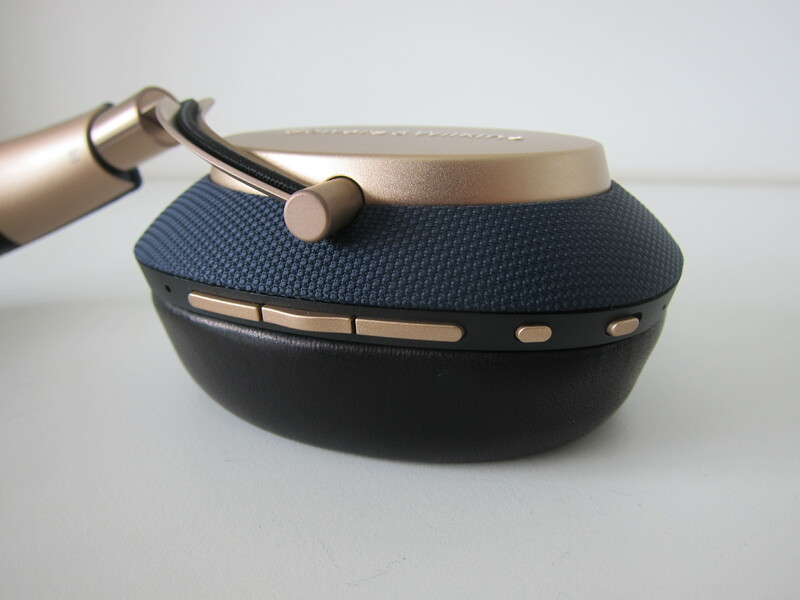 It has a built-in rechargeable battery of 850 mAh which gives you between 22 to 50 hours of music playback. 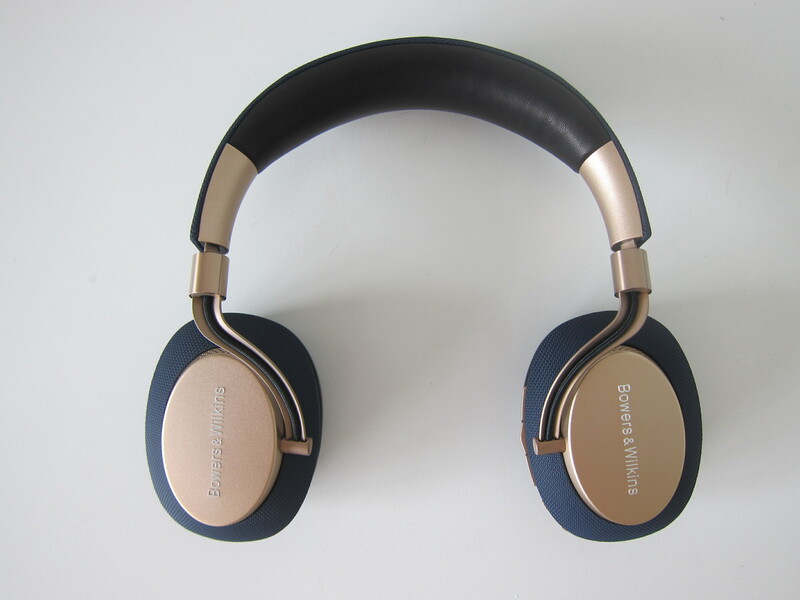 22 hours is with Bluetooth, and Active Noise Cancellation (ANC) enabled. 50 hours is with a wired connection and ANC disabled. 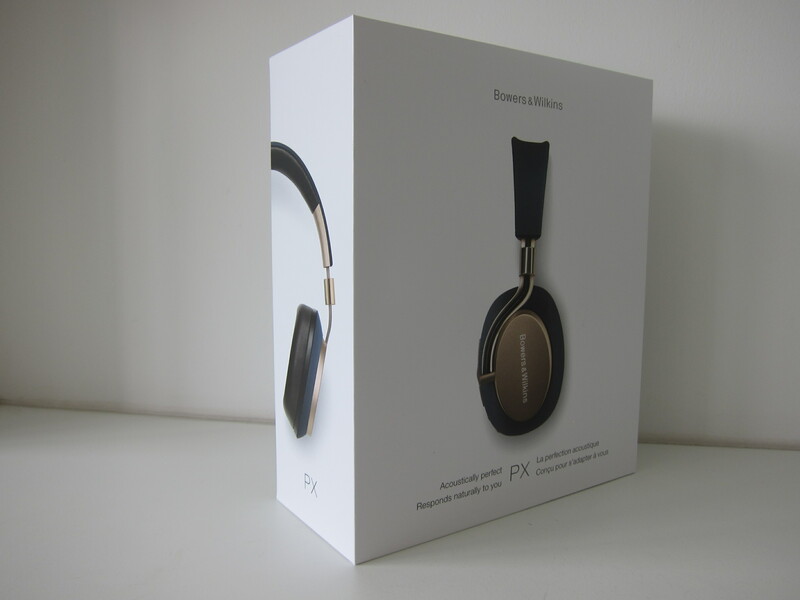 There is a companion app available for the PX, it is called Bowers & Wilkins Headphones and is available on both iOS and Android devices. Using the app, you can tweak various settings of the PX such as environment filters and voice pass-through. Also, you can use the app to keep your PX’s firmware up to date. Like most headphones unboxing, most of the items are in the carrying case of the headphones. The PX is no exception. 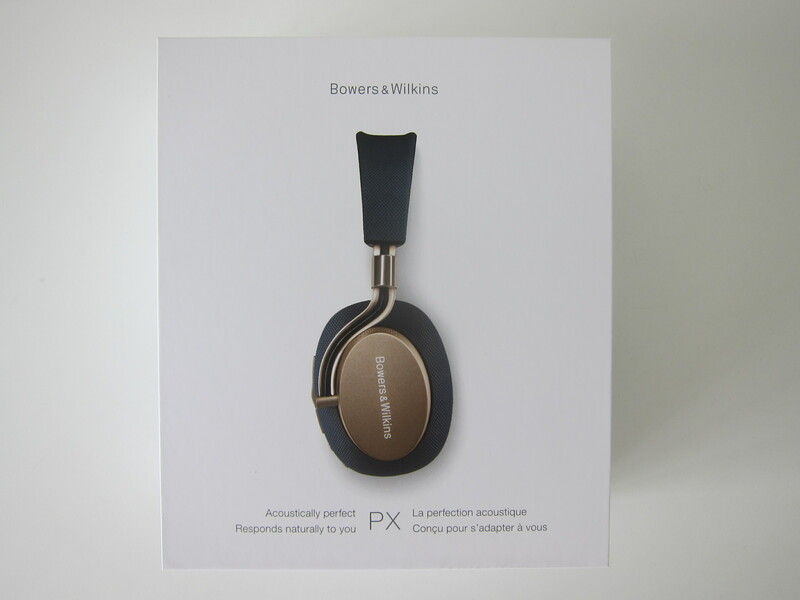 However, instead of a hard carrying case, Bowers & Wilkins choose to go with a soft carrying pouch for the PX. 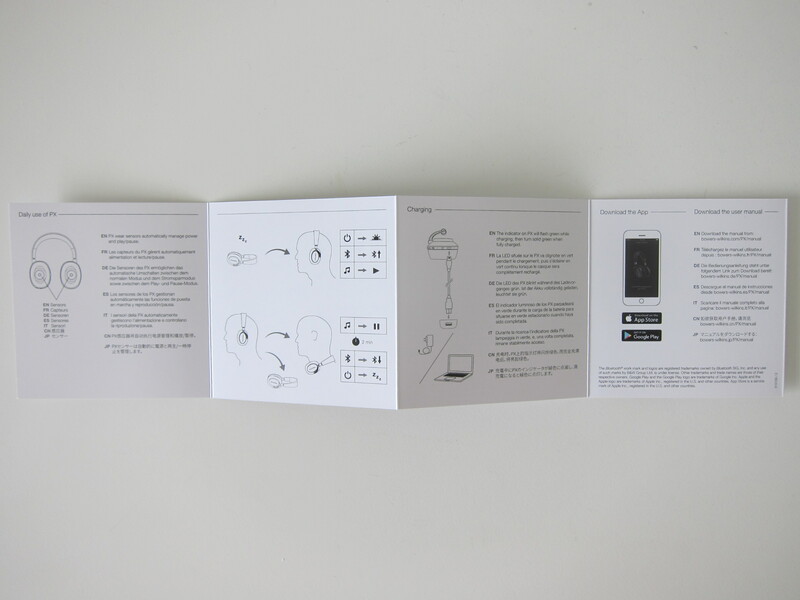 Inside the soft carrying poach contains the USB-C cable, Audio Cable, Quick Start Guide, Introduction Guide, and Warranty Booklet. Considering that the PX belongs to the high-end headphones category, I was expecting to find an airplane adapter inside it. But sadly it is not included. In case you are wondering, both the KEF Space One and the Bose QC35 comes with the airplane adapter. 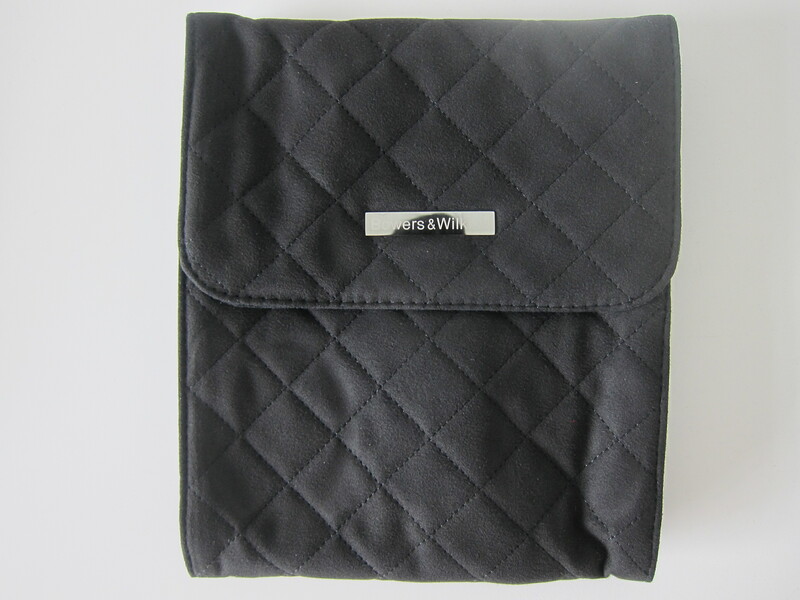 The soft carrying case has magnetic clasps hidden within the fabric for more natural opening and closing. 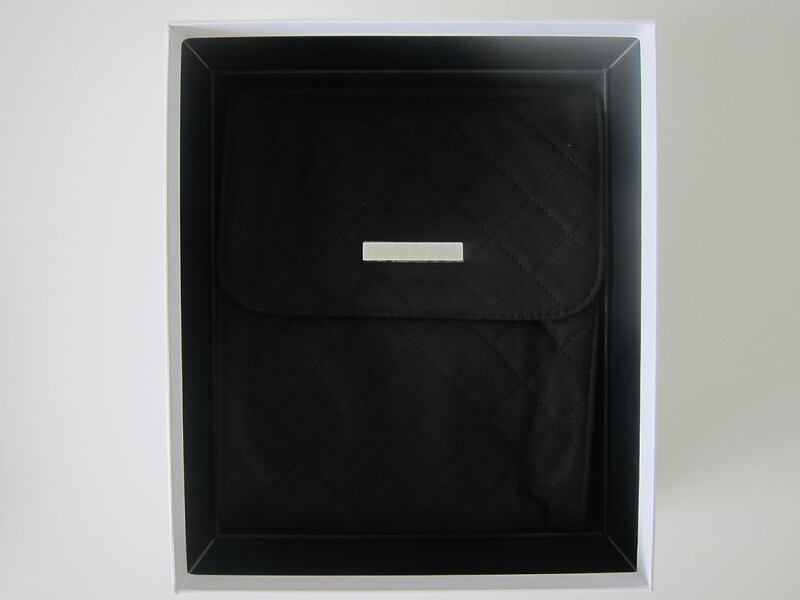 Soft carrying case doesn’t protect your PX like a hard carrying case because it is made of cloth. 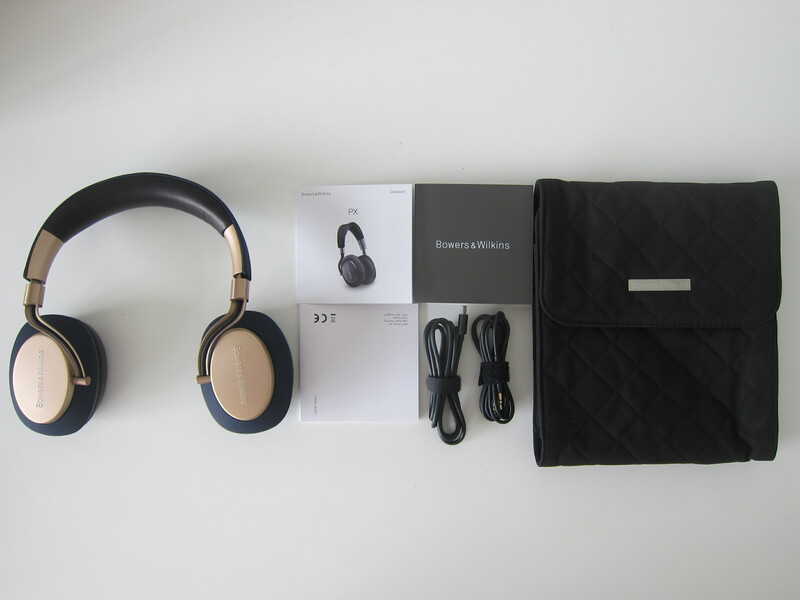 I prefer headphones to come with a hard carrying case and earphones to come with a soft carrying case. 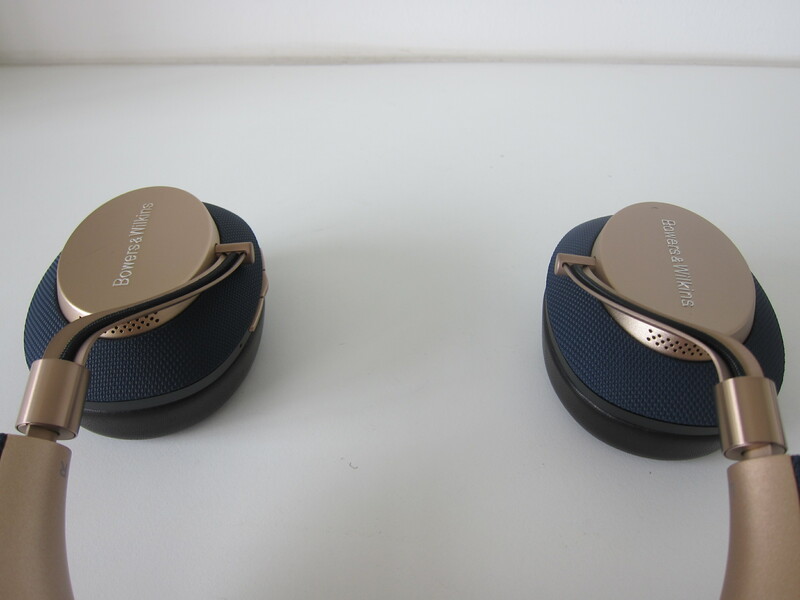 The PX is very well made (solid), and like the KEF Space One, the whole look and feel is premium. The blue fabric and gold colored metal go well together, and hence, it doesn’t look boring. 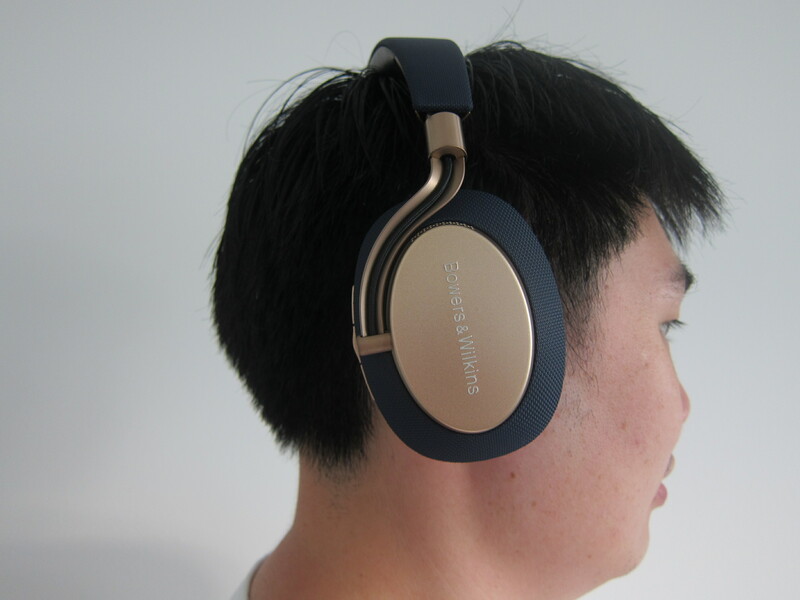 The Bowers & Wilkins logo is on both sides of the headphones. So from the colors and logo, you can tell that the person is using a PX. 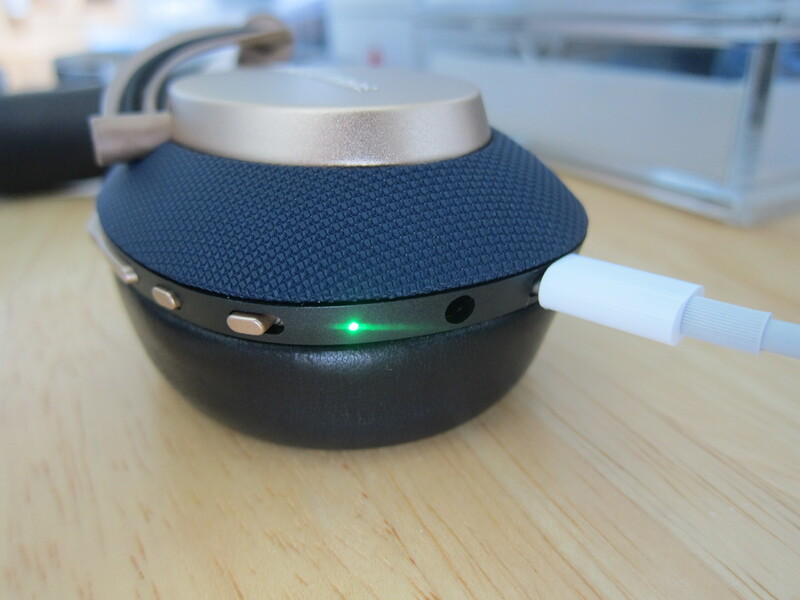 At the top of each headphone cup, you will see the ANC microphones grills. 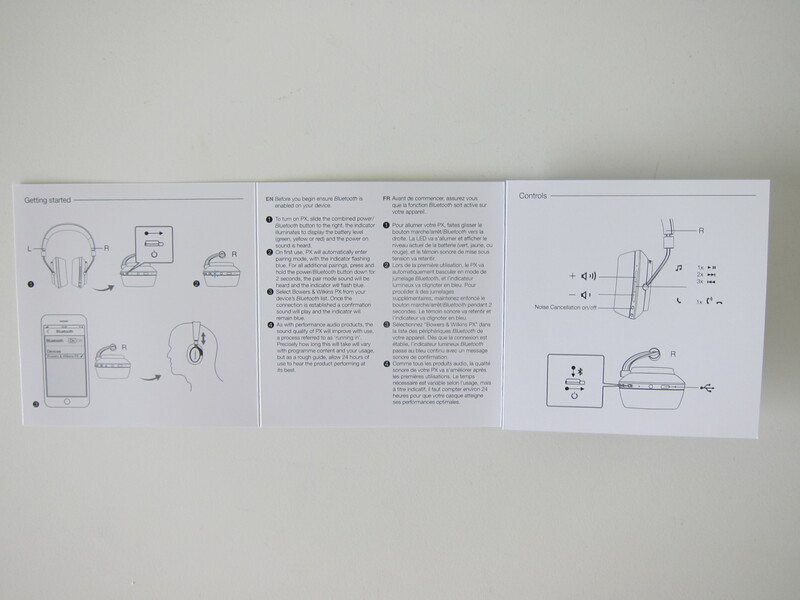 Inside it contains a feedforward and feedback microphone used for ANC. All the controls and input are on the right side of the PX. The two microphones used for calls are also on the right side. For controls, we have the previous, play/stop, next, ANC on/off switch, power slider switch. 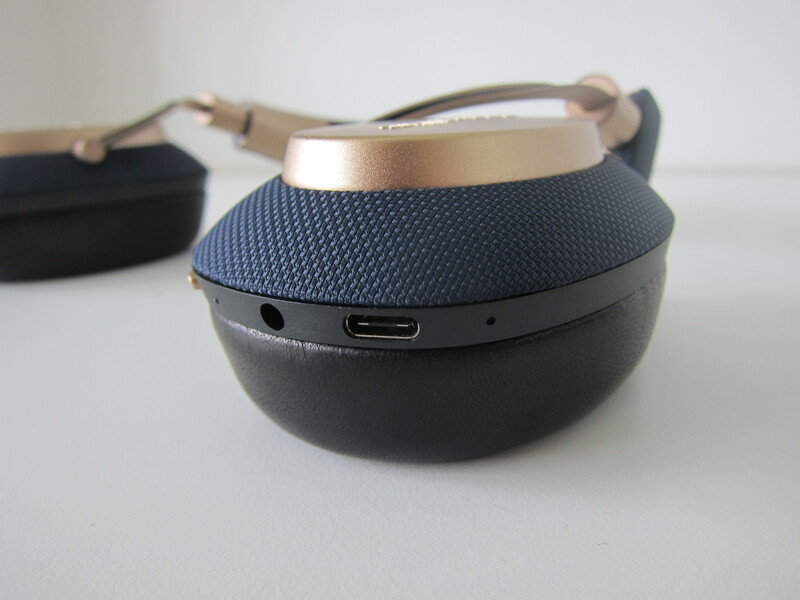 For inputs, we have the 3.5 mm audio port and the USB-C port. 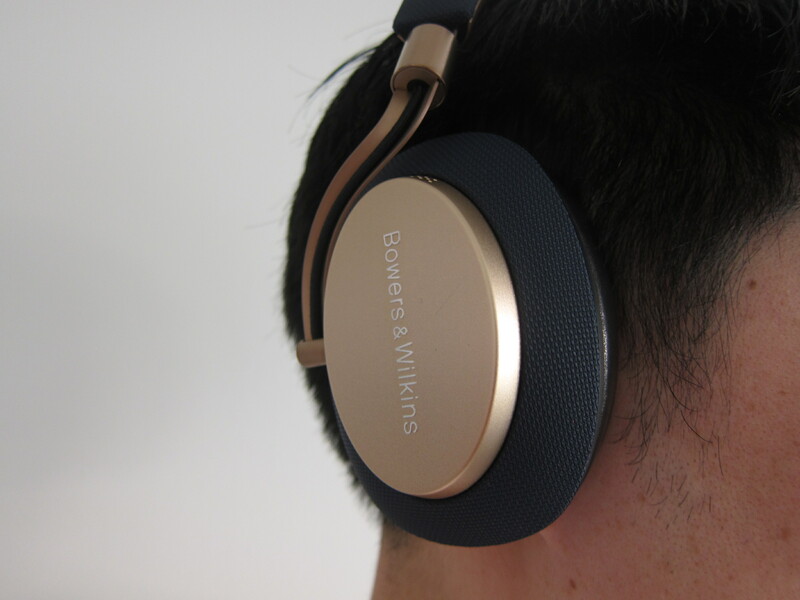 The Bowers & Wilkins Headphones is a little underwhelming compared to the Bose app as you can’t use it as a music app. The app only has three settings. 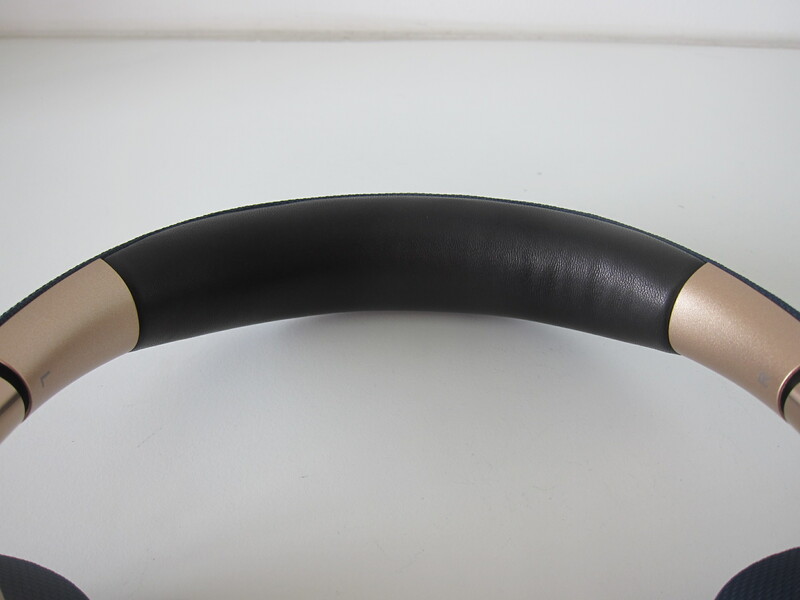 Choosing environment filter, adjusting voice pass-through, adjusting wear sensor. Since the PX has ANC, it automatically blocks out almost all noises, and that includes voices. Using the app, you can adjust the volume of sounds to pass through to your ears. My favorite feature of the PX is the wear sensor. The AirPods have it by using a combination of optical sensors and a motion accelerometer. 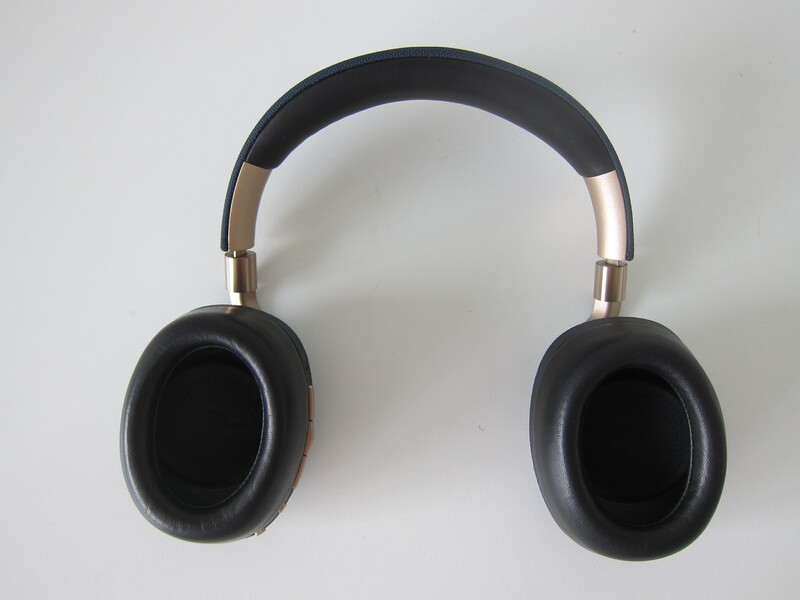 The wear sensor of the PX will automatically pause the song you are listening to when you removed it from your head and resumed playback when you put it back on. There is a lag time of about one to two seconds. The only frustrating thing about the app is once it is in the background, it will take about 30 seconds for the app to reconnect back to the PX if you relaunch it. I have the same experience with Bragi The Dash Pro. For my noise cancellation test, I am using the Airplane Cabin White Noise Jet Sounds as the background noise. My environment filter is set to flight and voice pass-through is off. It might be subjective, but I still find the Bose QC35 performs slightly better in ANC than the PX. Listening to my favorite test song, David Guetta – Titanium ft. Sia, I find that the audio is crisp and the bass is punchy. 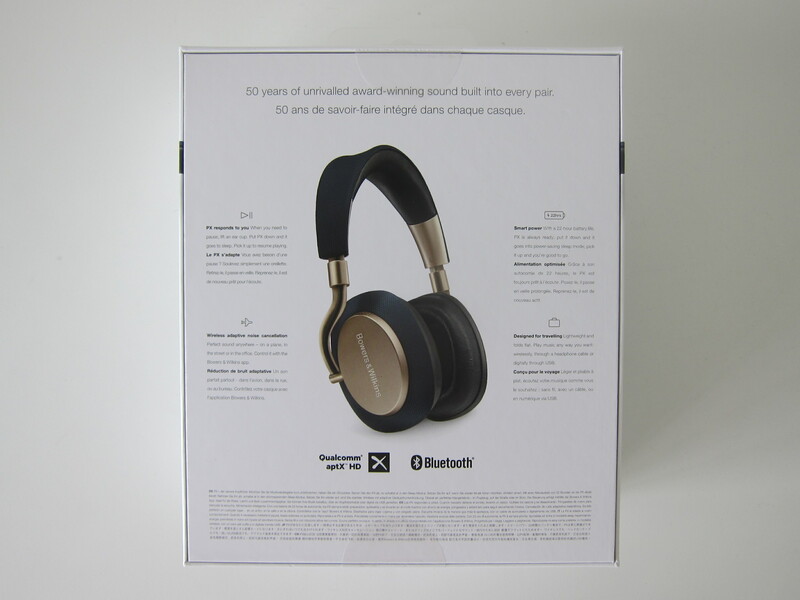 It wins Bose QC35 in the audio quality department. Comfort is subjective, and I think the PX being well-made might be a double edge sword. 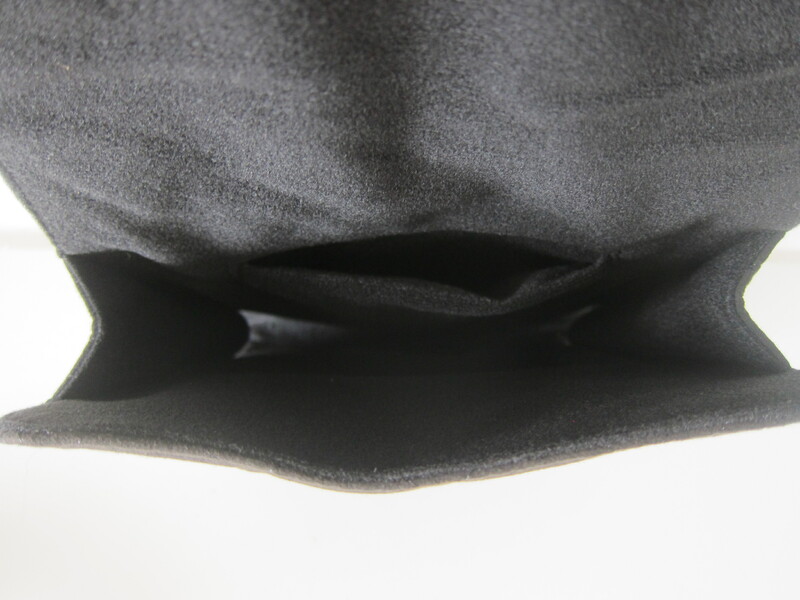 Yes, there are no squeaking sounds along the joints due to its solid build. But this makes it more rigid than the Bose QC35. 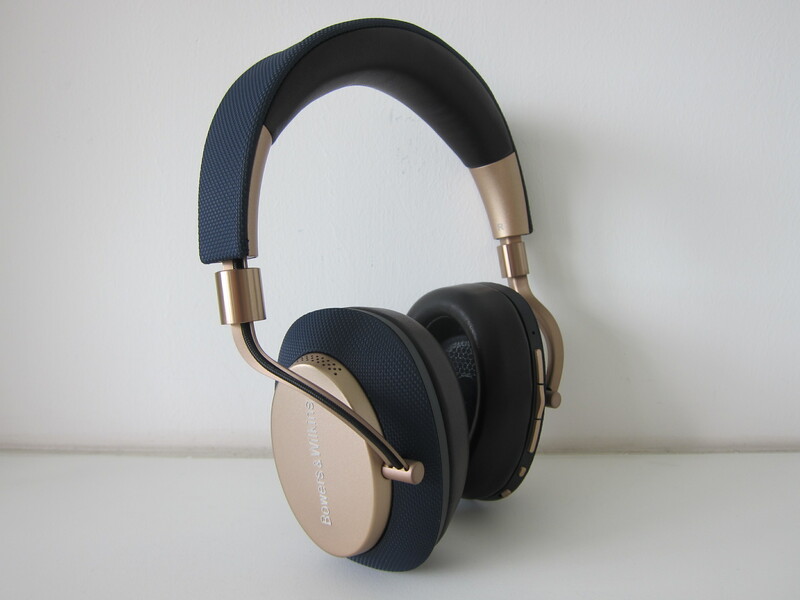 The earcups on the PX are also firmer than the Bose QC35 which reinforce the design language of the PX being solid. After a few hours of wearing it, I find the Bose QC35 to be more comfortable than the PX. This page is generated on 20th April 2019, 14:15:09 (UTC) in 0.184s with 14 queries using 2.0 MiB of memory.